HP this week announced its first notebooks based on AMD’s Ryzen PRO mobile processors. The new EliteBook 700-series and ProBook 700-series systems are designed for business as well as enterprise customers and support appropriate functionality, such as advanced security, remote management, optional smart card readers, and so on. One of the unique features of the systems is their compatibility with HP’s upcoming Thunderbolt Dock G2 over a Thunderbolt 3 or a USB interface. Meanwhile for AMD this marks a significant development, as these are some of the highest-end (and highest quality) laptops their Ryzen APU has made it into to date. 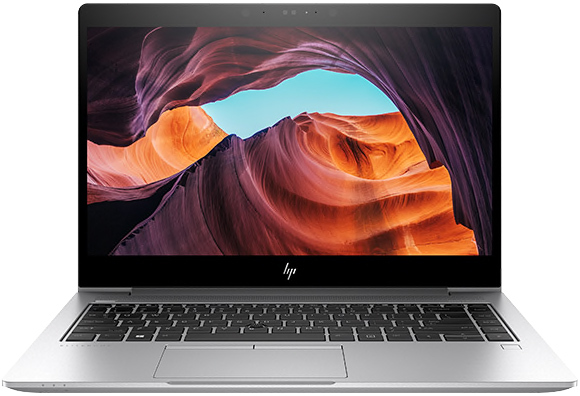 Update 5/11: Due to an error on HP’s web-site (which displayed an image of an EliteBook 700-series G5 PC with a USB-C port featuring the Thunderbolt 3 logotype), we incorrectly reported that the fifth-generation EliteBook 700 laptops supported Thunderbolt 3. On Friday HP informed us about the mistake and published a datasheet that clearly states that the systems do not support Thunderbolt 3 technology. In the meantime, it is necessary to note that the EliteBook 700 G5 notebooks are compatible with HP’s Thunderbolt Dock G2 that is based on Intel’s Titan Ridge controller. HP’s EliteBooks are the company’s high-end PCs for business and enterprise users looking for performance and premium features, but not necessarily demanding things required by the government agencies (e.g., smart card readers) or various road warriors and field workers (e.g., smart card readers, NFC, etc.). With AMD’s Ryzen PRO Mobile platform, the fifth-generation EliteBook 700-series PCs get AMD’s silicon level security technologies, such as the Transparent Secure Memory Encryption (TSME) feature that protects data in DRAM using a dedicated AES-128 engine, secure boot, TPM 2.0, remote management and other capabilities. HP traditionally outfits its EliteBook systems with various proprietary security features that enable self-healing, manageability, encryption and so on. As for performance, all AMD’s Ryzen PRO Mobile processors feature four cores with or without SMT clocked at 2 – 2.2 GHz default frequency (3.4 – 3.8 GHz max boost clocks) and are outfitted with the Radeon Vega 6, 7 or 8 iGPUs. The EliteBook 700 G5 systems come in machined-aluminum chassis and are equipped with 13.3-inch, 14-inch or 15.6-inch LCDs with narrow bezels. The displays may be optionally equipped with touch, HP’s Sure View privacy screen as well as HP’s privacy camera (a webcam with a shutter). 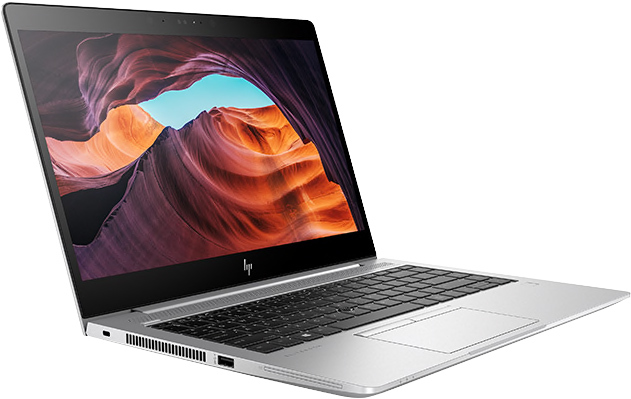 HP does not disclose screen resolutions it plans to offer with the new notebooks, but based on what HP offers with the EliteBook 700 G4 machines, we may expect the new systems to be equipped with displays featuring a 1366×768, 1920×1080 or even 2560×1440 resolution. Depending on the model, the EliteBook 700 G5 laptops are 17.7 – 18.25 mm thick (0.7 – 0.72 inches) and weigh between 1.33 and 1.86 kilograms (2.94 – 4.09 pounds). HP’s EliteBooks are not exactly ruggedized, but they are designed to pass MIL-STD 810G testing for exposure to high and low temperatures, drops, humidity, and other environmental conditions. This does not mean that the fifth-gen EliteBook 700-series laptops can pass all of these tests, but they can handle the bumps of life on the go. Moving on to other features of the HP EliteBook 700 G5 notebooks. The PCs will come with various memory and storage options (expect encrypted and un-encrypted HDDs and SSDs to be offered), a 802.11ac + Bluetooth wireless module, as well as an optional 4G/LTE modem. As for wired I/O, the new computer will be outfitted with a GbE, USB Type-A ports, an HDMI output, USB Type-C header, a microSD card reader, a TRRS connector, HP’s proprietary dock port (for those who need an inexpensive D-Sub connectivity), and a smart card reader (only on select SKUs). It is noteworthy that HP’s fifth-generation EliteBook 700 laptops are the first AMD-based mobile computers to feature Thunderbolt 3 interface (hopefully, other PC makers will follow the suite and Ryzen-based notebooks will get a very fast external interface). The USB-C port will be compatible with HP’s recently introduced Thunderbolt 3 Gen 2 dock that has various expansion ports (two DisplayPorts, one D-Sub, two USB 3.0, an additional GbE, a TB3 header, etc.) and an optional audio module, but without an integrated GPU for those who want to play games. The good news is that the EliteBook 700 G5 comes with Microsoft’s Windows 10 Pro, so it is compatible with third-party eGFX solutions powered by both AMD Radeon as well as NVIDIA GeForce GPUs. Just like other modern business laptops from HP, the EliteBook 700 G5 systems will come with integrated microphone array and Bang & Olufsen-branded speakers with the HP Noise Cancellation capability to improve quality of conference calls. Most SKUs will also feature webcams with IR sensors to support Windows Hello as well as fingerprint readers to enhance biometric authentication options. It is also noteworthy that while only the 15.6-inch EliteBook 755 G5 will feature an extended keyboard, the smaller 14-inch EliteBook 745 G5 PC will still have Delete (this one is also present on the 13.3-inch EliteBook 735 G5 model), Home, Page Up, and Page Down keys. In addition, there are special buttons to answer or deny Skype calls. HP plans to start sales of the fifth-generation EliteBook 700-series notebooks later this month. Pricing of entry-level machines will start at $999, more advanced SKUs will carry considerably higher price tags. HP’s ProBook series is aimed at enterprises, government agencies, and road warriors that require maximum levels of security along with various special-purpose hardware, but may not need premium features. With its fourth-generation ProBook 600-series laptops, HP offers a number of relatively exotic devices, including NXP’s NFC controller NPC300 I2C NCI, a smart card reader, a DVD burner (on 15.6-inch models only), and various 4G/LTE modems. 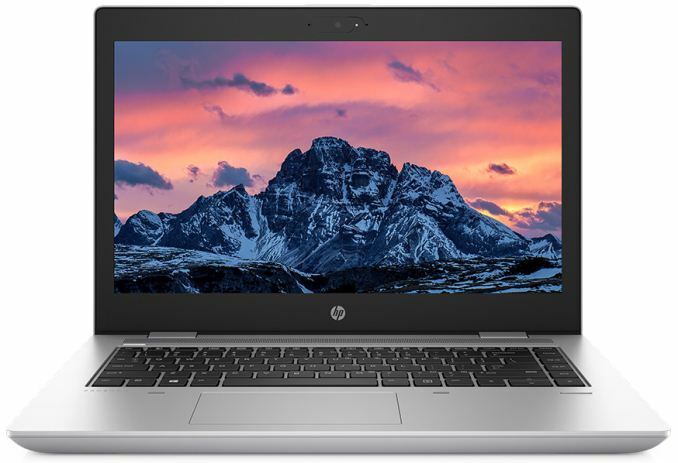 HP’s fourth-generation ProBook 600 family currently includes three base models: the HP ProBook 640 G4 and the HP ProBook 650 G4 powered by Intel’s 7th or 8th Generation Core processors outfitted with AMD’s Radeon RX 540 dGPUs (select SKUs only) as well as the HP ProBook 645 G4 based on AMD’s Ryzen PRO CPUs with Radeon Vega iGPUs. The ProBook 645 G4 laptop comes in the same aluminum chassis as the ProBook 640 G4, it is outfitted with a 14-inch display (exact characteristics are unknown, but expect various models to feature HD or FHD resolution as well as various brightness levels), it is 20.99 mm (0.83 inches) thick and it weighs 1.73 kilograms (3.8 pounds). The chassis reportedly endures HP’s internal tests for reliability and was designed to pass MIL-STD 810G testing. From performance and security capabilities points of view, the ProBook 645 G4-series laptops will likely offer similar features as the aforementioned EliteBook 700 G5 machines (HP’s hardware-enforced self-healing capability, manageability, TPM 2.0, and so on), but there will be some differences. 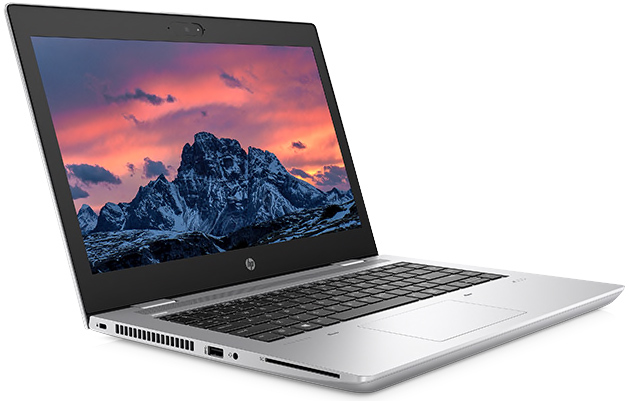 The notebooks will be optionally outfitted with HP’s Sure View privacy screens and HP’s Privacy Camera shutters. Meanwhile, they will not support IR cameras for Windows Hello with facial recognition and will only come with optional fingerprint readers. 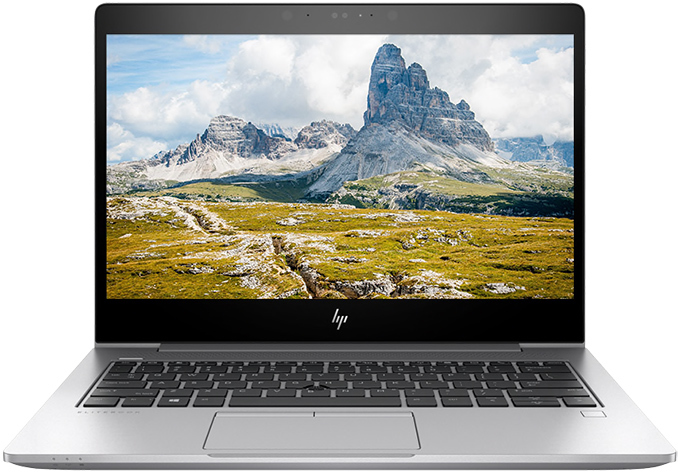 Intel-based HP ProBook 640 G4 systems are offered with up to 32 GB of DDR4 memory and various storage options, including 500 GB HDDs (un-encrypted or FIPS-encrypted) or 128 GB – 1 TB SSDs with a SATA or PCIe/NVMe interfaces (un-encrypted, FIPS-encrypted, TCG OPAL 2-encrypted). It remains to be seen what exactly HP will offer with AMD-based ProBook 645 G4 machines, but given positioning of these systems, encrypted storage devices must be offered at least optionally. Keep in mind that since the ProBook 645 G4 is listed as “coming soon,” HP does not disclose all of its specifications just now, so we have to restrict ourselves to general specs only. When it comes to connectivity, the new ProBook 645 G4 will feature 802.11ac Wi-Fi and Bluetooth, it is also highly likely that select SKUs will be outfitted with a 4G/LTE modem to address road warriors. As for wired I/O, the manufacturer advertises GbE, USB Type-A, USB Type-C, HDMI, microSD, and proprietary dock ports. 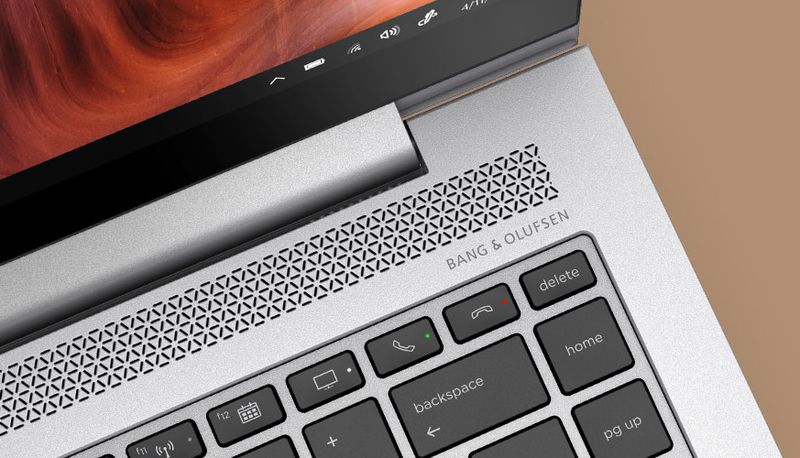 The ProBook 645 G4 notebooks will be equipped with standard stereo speakers with no fancy Bang & Olufsen enhancements and a microphone array for proper audio conferencing. HP’s ProBook 640 G4-series notebooks do not feature a Thunderbolt 3 port, but are still compatible with the company’s Thunderbolt Dock G2, albeit with obvious bandwidth limitations. In addition, the laptops are compatible with HP’s proprietary docks, so companies that invested in appropriate hardware can keep using it to connect to various projectors using a D-sub interface. HP intends to start selling the ProBook G4 notebooks in May. Pricing of entry-level models are expected to start at $759, but once equipped with exotic components like NFC modules or smart card readers as well as loads of RAM and high-capacity SSDs, their pricing will rise well beyond $1000. Display Diagonal 13.3" 14" 15.6"
This is because Intel made the Thunderbolt 3 standard Royalty Free. So HP is likely using another manufacture's controller.